Love a fruit vape but can’t decide which one to go for? 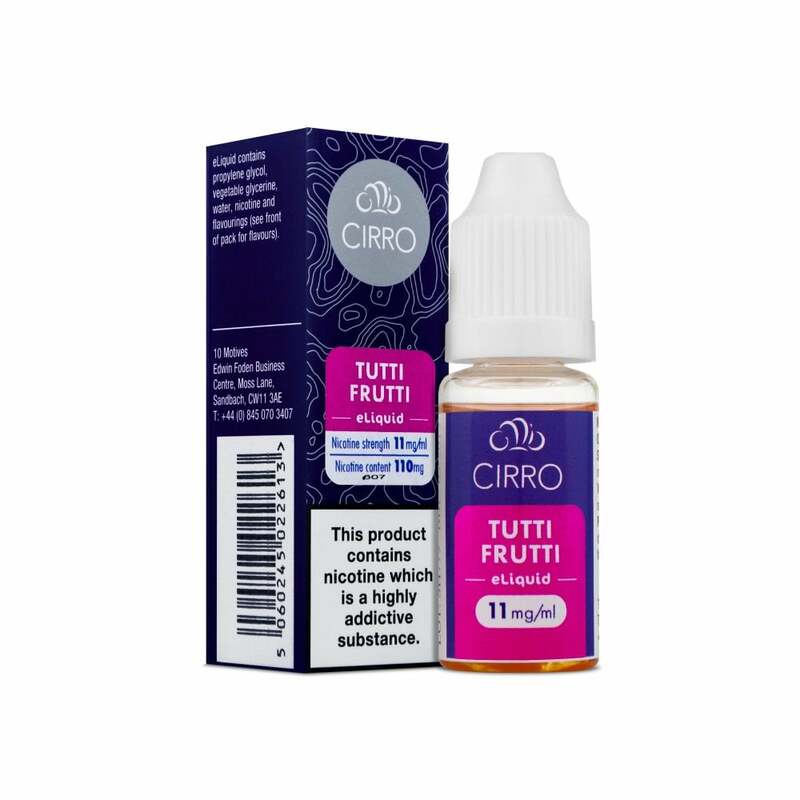 Pick up a bottle of Cirro Tutti Frutti and get all the fruits in one! Packed with a juicy blend of mixed fruit, Tutti Frutti e-liquid by Cirro is a vibrant all-day vape you won’t want to put down. Cirro e-liquids come in 10ml bottles and are available in a range of nicotine strengths to suit any kind of vaper. Cirro e-liquids are perfect for use in your vape pen or a similar refillable starter kit.